Ready or not, 2018 is mere months away. And while coveted invitations to sparkling holiday fetes and cozy candlelit soirees have yet to be posted or e-mailed, Salih Salon already has a jump on what’s now – and what’s next – for their clients’ new looks. What Salih sees for 2018 trends is a return to longer, fuller, layered styles, with smooth, effortless waves, set with rollers and naturally brushed out. He’s also incorporating hair extensions, sometimes adding his own flair with long fringe. Nothing too tortured or high-maintenance, these are nourishing, uncomplicated styles that are easy to maintain on your own. Coloring reflects the seasonal glow with warm tones, such as light brown with a two-tone contrast. But they are not using a lot of added color dyes, as Salih intends to focus on what’s healthy, natural, and relaxed, to bring back vibrancy and life to his clients’ hair. As for those without long locks, Salih suggest his short hair clients experiment with some added length for the fall. “I want to encourage people to try a more casual, longer style this season. People like longer hair. It’s sexier hair. ” For those sporting super short cuts, he uses minimal styling products to control the frizz, and sets the hair with one or two rollers to lift the hair, so the style fits with the softer, organic look of the moment. 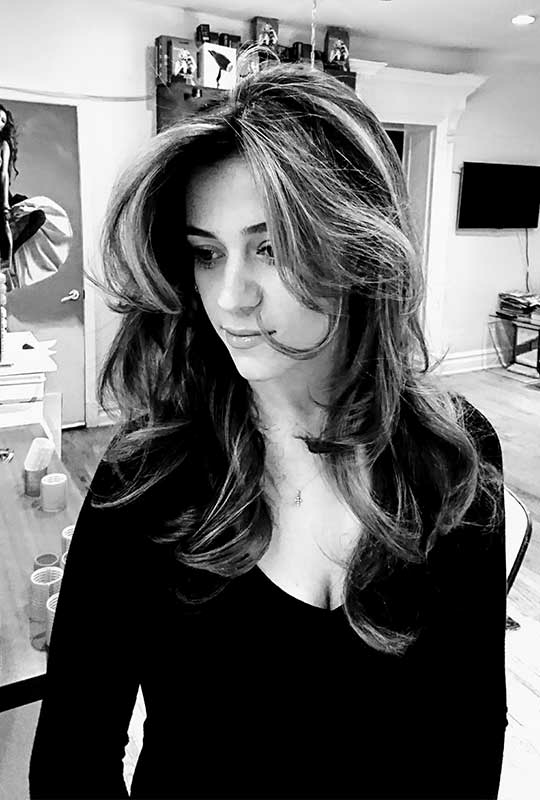 Salih and his stylists pay attention to the global fashion trends, but what really elevates a client’s experience at Salih Salon is their personalized touch. Salih blends contemporary trends with each client’s individual personality, shape, body, and skin tone. Sure, he’ll flip through the latest glossy magazines with his clients, but what defines a visit to Salih is his individualized focus. He looks at each person sitting in his chair and observes the beauty within. And that is what he reveals with each hair style, regardless of the season on trend. So, before you grab your next pumpkin spice latte, make an appointment at Salih Salon for a real autumnal experience. You’ll carry a warm radiance with you until the winter solstice.